Contemporary, stylish and compact. These are the features of the Cube system shot from the Expert series. Cube is suitable for doors up to 80 kg and can be attached to the wall in no time. 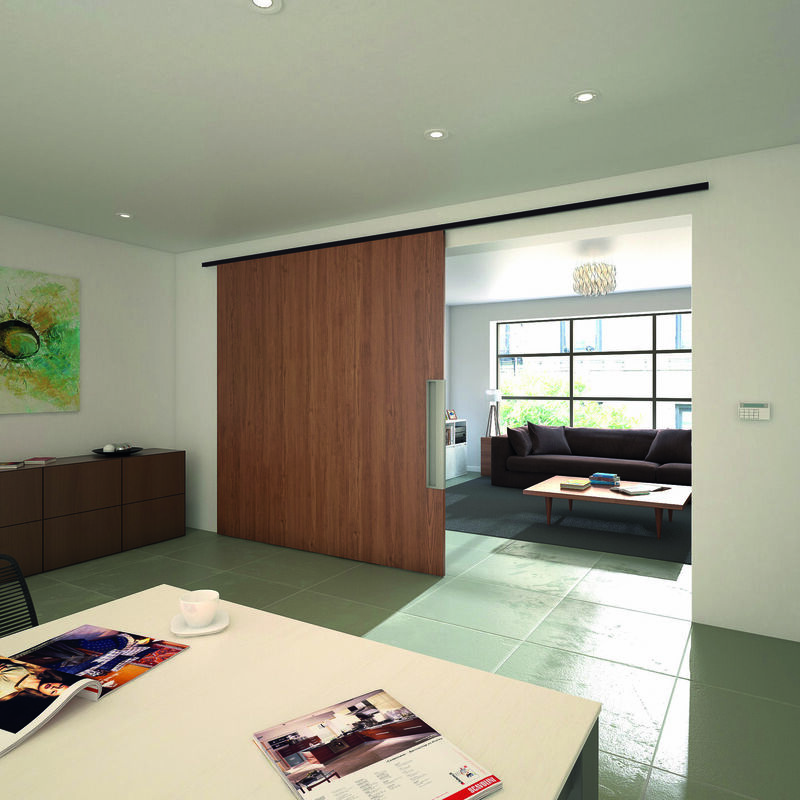 The door is raised compact up to 3 mm under the track in order to guarantee the minimalist look. Its effect delivers a superior architectural value. It goes without saying that a softclose system cannot be missing here. On the contrairy, the Cube can be used with a doublesided softclose system. This makes the movement of the door smooth and silent. Cube is available in grey anodised aluminium or black anodised.